By far the most densely populated region in Illinois centers around Chicago. While Chicago is the most populous city in the state, surrounding communities also contribute to the overall Metropolitan Statistical Area or “MSA” One such community is Naperville, which straddles both DuPage and Will counties. The population of Naperville today is around 150,000 but up until around 1960 it was largely a rural community, yet a population boom soon expanded the Naperville community to meet with Chicago. Today, there is no such rural land as Naperville is just one of many suburban cities that connect and surround Chicago. Real estate values in Naperville has held their ground over time and continue on their upward path. The median home value in Naperville today is around $389,000 which is up by about 2.0% compared with the same period last year. Nearby cities such as Winfield and Aurora are similar in size to Naperville but home values in those cities are lower than what is currently found in Naperville. This can sometimes lead to a challenge for first time home buyers as they save for a down payment and closing costs. But there are more low down payment options than one might think at first glance. The most popular loan programs in Naperville and across the state of Illinois are conventional loans that are underwritten using guidelines established by Fannie Mae and Freddie Mac. In fact, nearly two out of three loans are of the Fannie or Freddie variety. 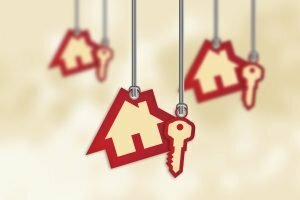 Both do offer low down payment choices, however, dispelling the prevailing myth that one needs a down payment of at least 20% of the sales price of the home. The minimum down payment for either of these programs is just 5%. However, when a conventional loan balance is above 80% of the sales price of the home, there will need to be a private mortgage insurance policy in force upon closing. PMI premiums vary based upon several factors such as credit scores or the amount of down payment. PMI comes in the form of an annual premium that is paid in monthly installments. Should a loan with PMI ever go into default, the lender is compensated for the difference between a standard 20% down payment and the amount the buyers actually put down. Government-backed home loans also have different forms of mortgage insurance. There are three such programs, the FHA, VA and USDA loans. The FHA mortgage is the most popular of the three, as there are no limitations as to who can use the loan and where the property can be located. Another benefit of the FHA program is the low down payment needed. The down payment for an FHA loan is just 3.5% of the sales price. Compare that to the conventional minimum down payment of 5 percent. The mortgage insurance on an FHA loan actually comes in the form of two separate policies. One policy is settled at the closing table but is not paid for out of pocket but instead added to the final loan amount. This is referred to as the Upfront Mortgage Insurance Premium. For a standard 30 year fixed loan with a 3.5% down payment, this premium is 1.75% of the loan amount. The other premium is one that is paid annually in monthly installments. This premium is 0.85% of the outstanding loan balance. These two premiums finance the loan guarantee to the lender. If the loan ever goes into default, the lender or bank is compensated for the loss. The VA mortgage is a 100% loan and also has a mortgage insurance premium that is rolled into the loan amount. However, there is no monthly mortgage insurance payment with a VA loan. Only veterans of the armed forces and other select groups are eligible for this program. The USDA loan is the other government loan program that does not require a down payment but has both an upfront premium rolled into the loan amount and an annual premium paid in monthly installments, just like the FHA program. However, the USDA loan is strictly reserved for only eligible rural locations in Illinois. There are even Jumbo loans now available to first-time buyers in Cook, Will and surrounding counties. Up to 95% financing for qualified home buyers with no PMI, fix rates and loan amounts up to 2.0mil. Buyers can read the complete Jumbo mortgage guide here. Recall that private mortgage insurance is typically required when the loan amount is greater than 80% of the sales price. The home buyer takes out a first lien that is at 80% of the sales price and follows up with a second junior lien. Let’s say that the buyers want to put down 10% of the sales price. With just one loan and a 10% down payment that means mortgage insurance will be needed. But if the buyers take out one loan at 80% of the sales price and another loan at 10% of the sales price, they accomplish their goal of putting less than 20% down while also avoiding PMI. Another similar structure would be to make a 5.0% down payment with a second mortgage at 15% of the sales price. This also keeps the first mortgage at 80% of the value, thus eliminating the need for PMI. First-time buyers have multiple options available today when purchasing a home. Please contact us to learn more by calling the number above, or just submit the Quick Call Form on this page – 7 days a week.